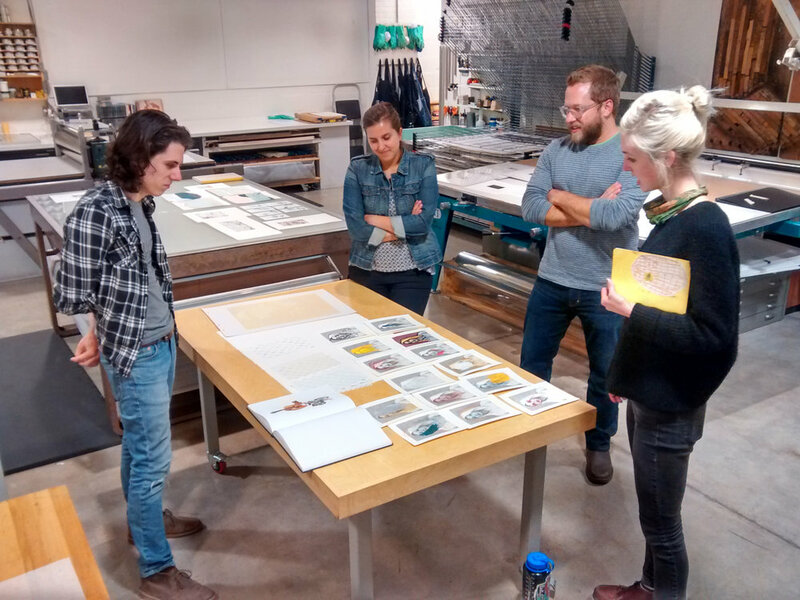 Sam Orosz, Amira Pualwan, and Makenzie Flom visit with Dennis Michael Jon (facing camera), Senior Curator of Prints and Drawings at Mia. With the generous support of the Jerome Foundation, artists Makenzie Flom, Sam Orosz, and Amira Pualwan were provided 9 months of access to Highpoint's printmaking facilities, as well as technical support, critiques with visiting artists and curators, and the opportunity to work in a studio environment that encourages experimentation and growth. 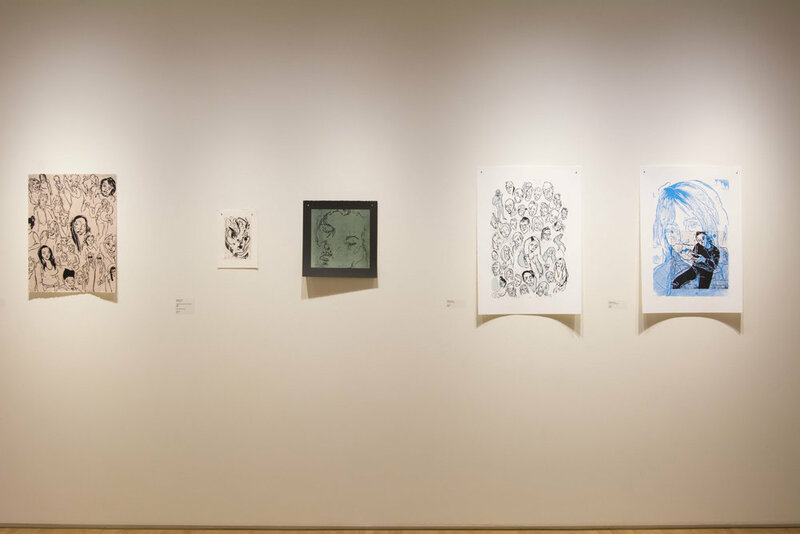 Their culminating exhibition featured intaglio prints, screenprints, direct-stamping, collage and relief printmaking. 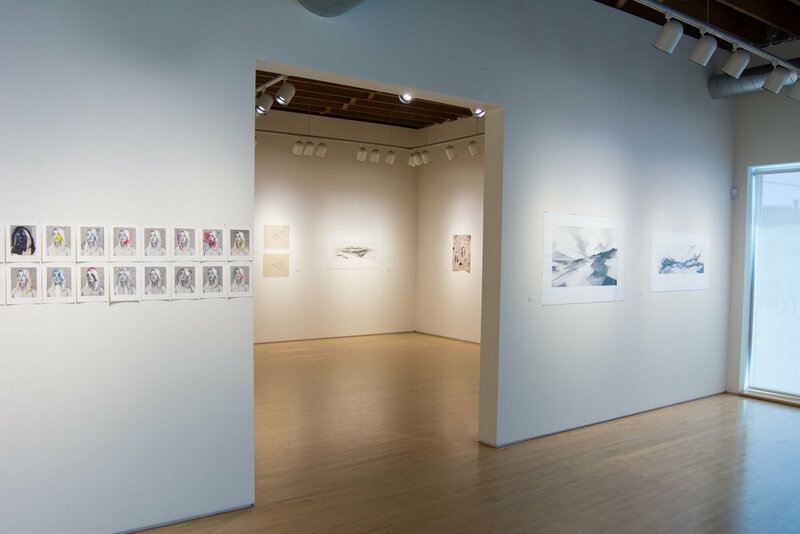 Sam Orosz’s intaglio prints explore the evolution of landscape; the manner in which physical spaces constantly change through the influence of natural and manmade forces. The environments Sam documents are those he has personally interacted with, having lived in or traveled through them. As these recollections fade and change with time, his visual memories develop into abstractions of strange new spaces, open to viewer interpretation. Orosz holds a BFA in studio art from the University of Minnesota Duluth. Makenzie Flom created a series of woodcuts and screenprinted multiples to illustrate the concepts of identity and the self, specifically how these affect and are affected by adolescence. 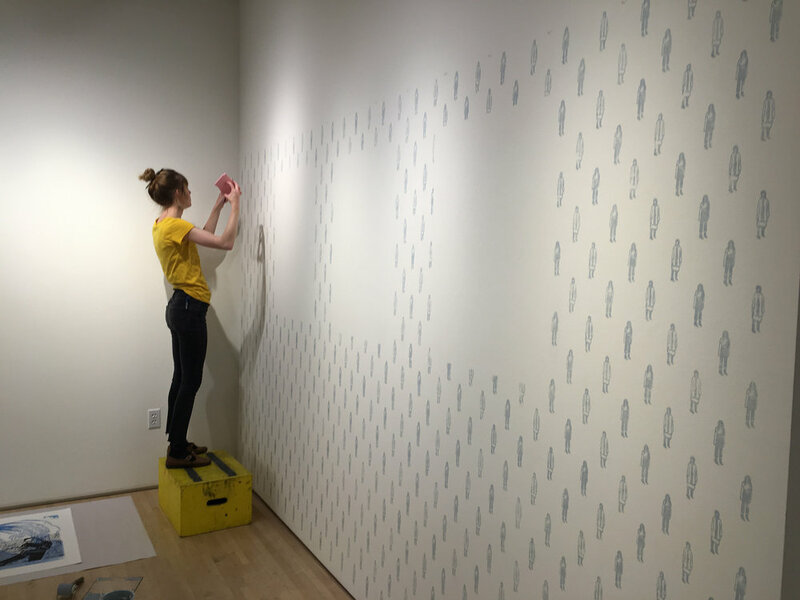 In generating this body of work, Makenzie capitalized on uncertainty in her process, maintaining the freedom and spontaneity of sketching, thereby limiting the amount of control she has over the finished piece. Flom holds a BFA in studio art from the University of Minnesota Twin Cities. Amira Pualwan created a series of 15 individual images that assemble into one massive composition. 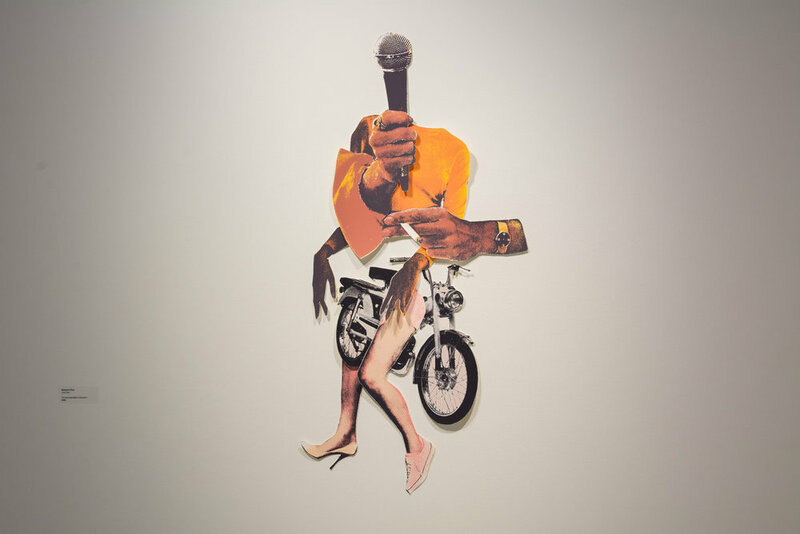 She chose an unfamiliar, experimental pictorial format for this series, one that coincides with the content informing the work. These metaphor-laden prints address exploration and study. Laid out as they are on the gallery wall, the panels call to mind an unfolded map. Pualwan holds a BA in studio art from Wheaton College in Norton, Massachusetts. 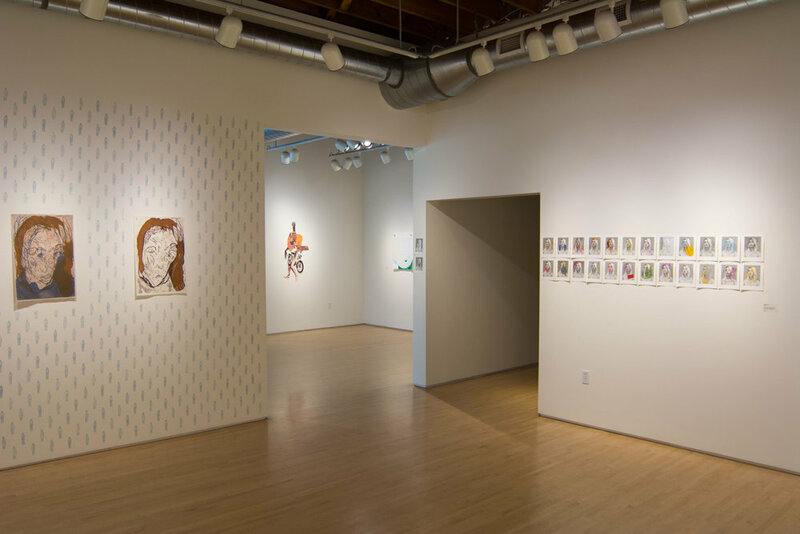 Special thanks to this year’s jurors: Clarence Morgan, Professor of Drawing & Painting, University of Minnesota, and Jennifer Phelps, Art Consultant, as well as guest critics Andy DuCett, John-Mark Schlink, Jennifer Phelps, and Christina Chang. Additional thanks to Dennis Michael Jon for hosting the residents at the Mia’s Herschel V. Jones Print Study Room.